After all the great roads we were on yesterday, and the late night at the kart track (plus a few beers!) 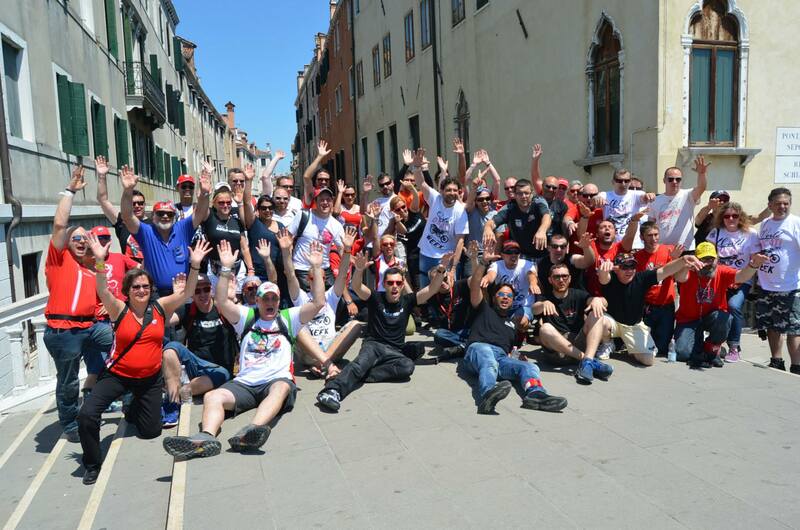 the mood was a bit more subdued this morning for the ride down to Verona. Fortunately the roads were not as challenging as we were heading along fast sweeping bends through the valley to Lake Garda. Once again the scenery was stunning riding through the mountain valleys, and the weather was getting warmer as we got closer to Lake Garda. The Diavel was having no problems with the lazy touring and as I was getting more used to the riding position I was finding it quite comfortable too. 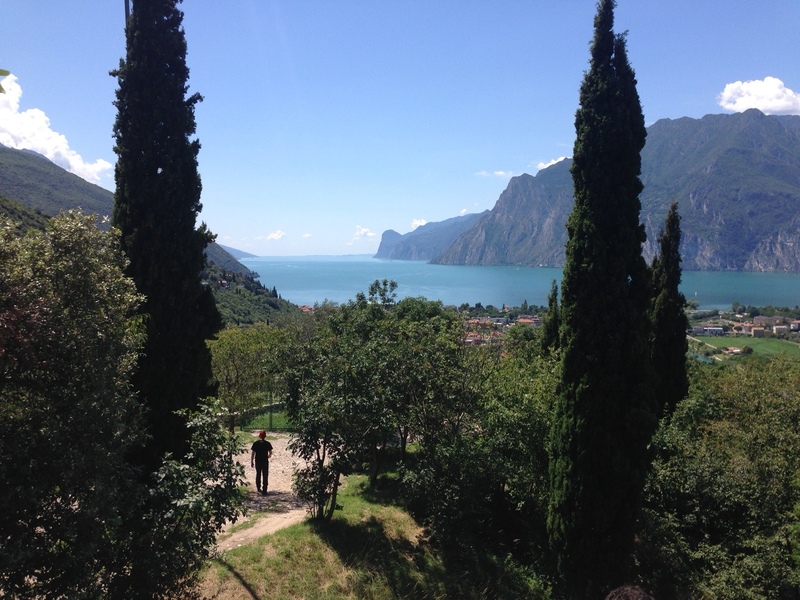 We soon arrived at Lake Garda and the views were nothing short of breath-taking! The lake itself was beautiful and the view from above looked amazing. After stopping for a quick picture, we rode down to the lake and followed the road round for a few miles. It was now quite hot at about 25 degrees and the lake shore was full of people enjoying the weather and the water. Unfortunately we didn’t get to stop as we had to push on back up the mountain for lunch. The road wound up the side at quite an angle and we were soon viewing the lake again from a spectacular view point. Given the heat, most of us chose to stay inside with the air conditioning to cool down over lunch! After lunch we made our way to Verona. 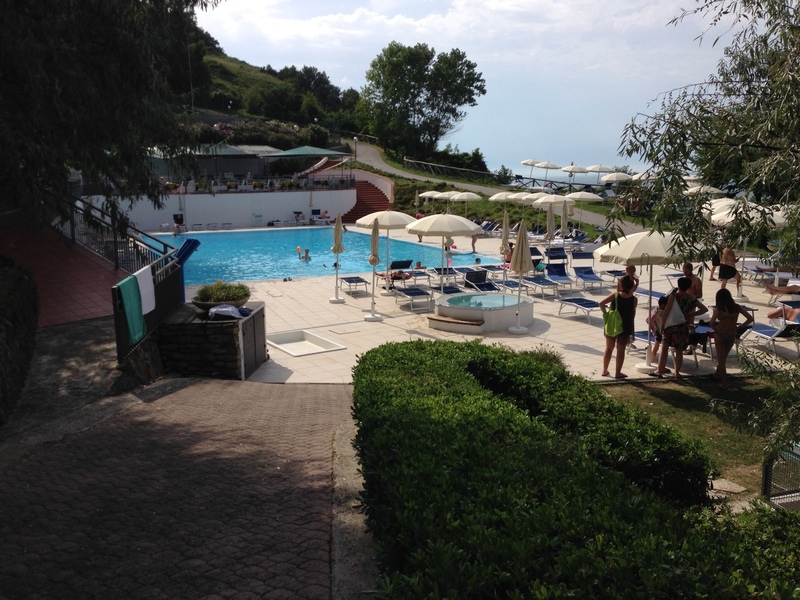 Our hotel was situated just outside the city but as we arrived quite early in the afternoon, we had time to make use of the swimming pool for a welcome cooling dip after the heat of the day, before heading into Verona for some sight-seeing. 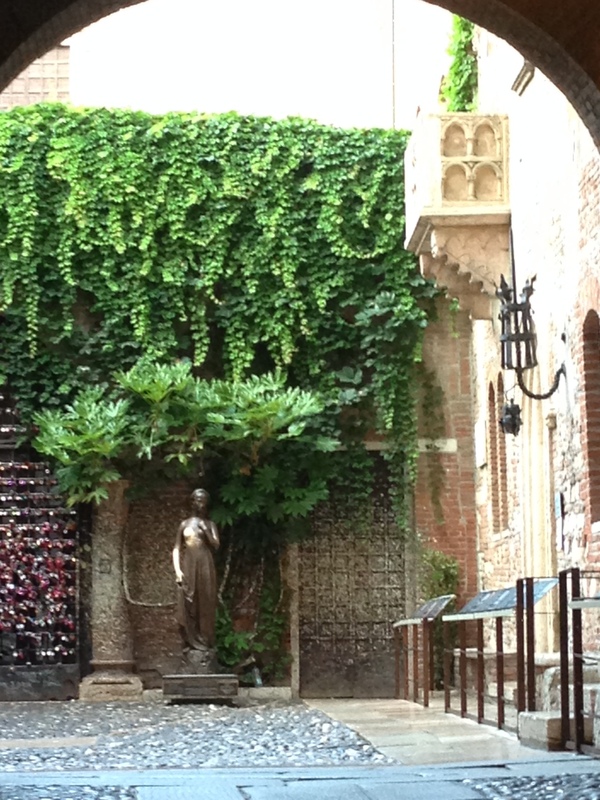 In Verona we took in the sights with a tour guide, visiting many of the city’s famous landmarks and site of historical importance, including the balcony of Juliet from the famous Shakespeare tale of Romeo and Juliet. 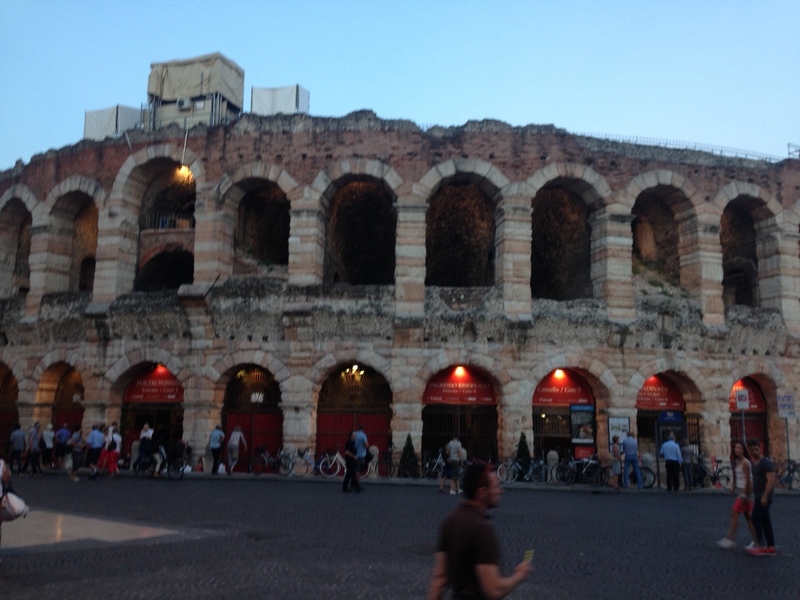 We had dinner in the centre of Verona, overlooking the Arena, the ancient amphitheatre built by the Romans. The food was good, the wine flowed and the weather was warm well into the evening so we all made the most of it until we had to get the coach back to the hotel. 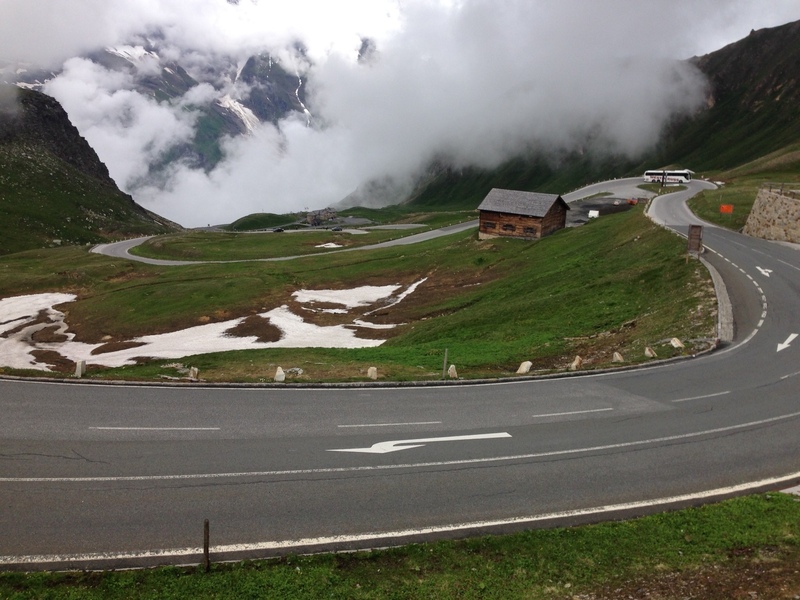 Today was going to be the “big” day of the trip as we crossed from Austria into Italy over the Dolomite Mountains and riding the Grossglockner pass over Austria’s Highest mountain. From the buzz of excitement in the group when we set off I knew that it would be a good day riding but I really wasn’t sure what to expect. We arrived at the bottom of the mountain at some toll booths, all grouped together. We waited for all three groups to arrive before heading through the tolls, and we were told that as there was only one road we would all meet at the summit and it was every man for himself! For my first impressions of the mountain road, it was very wide at three lanes (two lanes up, one down) and seemed to be quite a fast flowing set of gentle curves. As we wound our way up the mountain you could feel the changes in pressure as your ears popped and the mountain side got steeper and steeper. After a few miles the road became more of a set of short straights with a hair-pin bend at the end on a quite steep angle! This took some getting used to on the porky Diavel, but it was more down to my ability than that of the bike itself. I had soon learned to take the corner wide and pitch it all the way over to turn the corner and could then gas it out making use of the traction control to propel me forwards to the next bend. These switch backs went on for mile after glorious mile as we wound our way up to the top of the mountain, riding through the clouds and out into sunshine at the top! Although there was still snow on the ground (in July!) it was a nice pleasant 15 degrees and the air had that wonderful mountain purity at the top. We were all buzzing with the amazing road that we had just ridden, and it was smiles all round as we all talked excitedly about our own experiences. 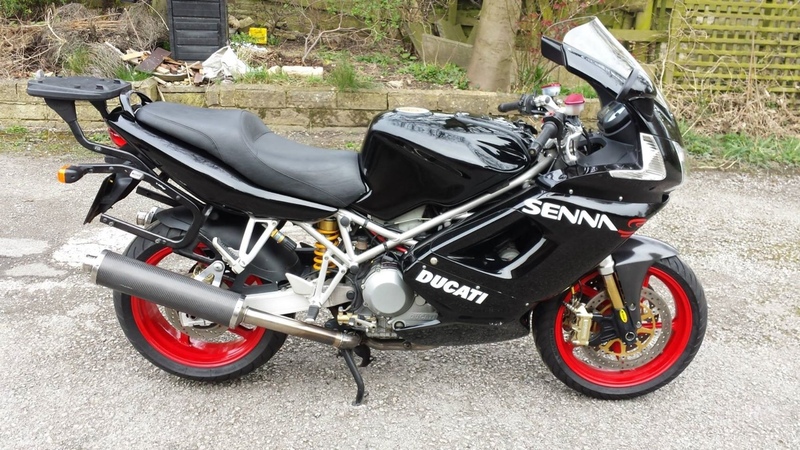 Robbie from the Scottish Ducati Club took some on-board video so you can see for yourself, but you really, really, really should ride this road at least once in your life! Our next stop was the glacier on the mountain, the Pasterze. From there we took the other side down and stopped beside a beautiful lake near Cortina d’Ampezzo for lunch, where it now felt like it was at least 25 degrees in the sunshine by the lake! 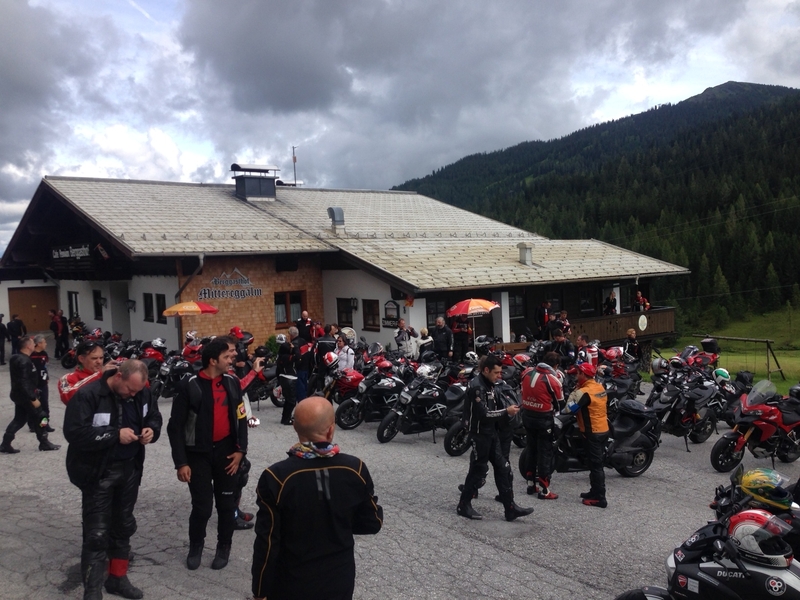 After lunch we continued on our way to Bolzano by taking the Giau pass. This time the roads were not as wide or well surfaced, but just as twisty and steep going up the mountain. I would liken this more to riding through back roads over the moors in somewhere like Derbyshire or Cornwall, just with more mountain! Crossing over the pass we took the road down which was unfortunately wet and slippery, so not much fun but again the traction control and ABS on the Diavel really helped to keep everything under control, and I’d switched down into Urban mode (100 PS) to save myself from any surprises! Finally arriving in Bolzano we had to quickly head out for the evening entertainment with a Kart race, live band and BBQ, but the talk of the evening was more about the amazing roads we had ridden that day. Today’s agenda was a tour of the lakes of Upper Austria: Traunsee, Attersee, Mondsee and Wolfgangsee. 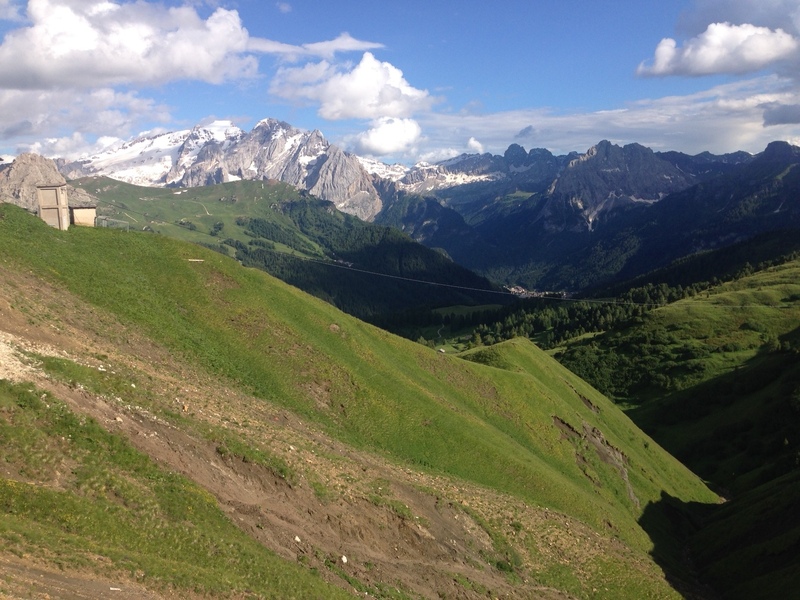 Our final destination was in Kaprun which is well known for being part of the ski region of Zell am See, but also has plenty of walking and cycling activities during the summer. We were soon out of Linz via the motorway and the scenery just got better as we got closer to the mountains. Even though it was summer there was still plenty of snow to be seen on the highest peaks, but we would not be heading up that high today, just taking in a tour around the valleys and lakes. 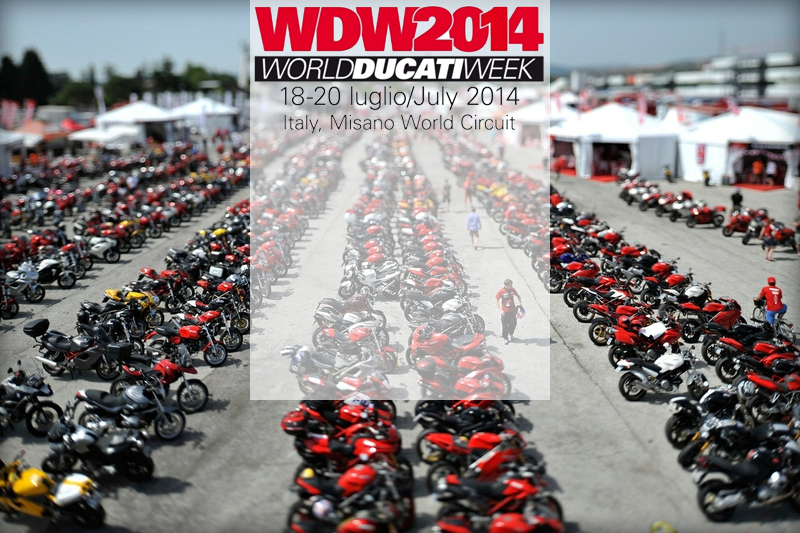 The roads were pretty fast and sweeping and the Diavel took everything in its stride. 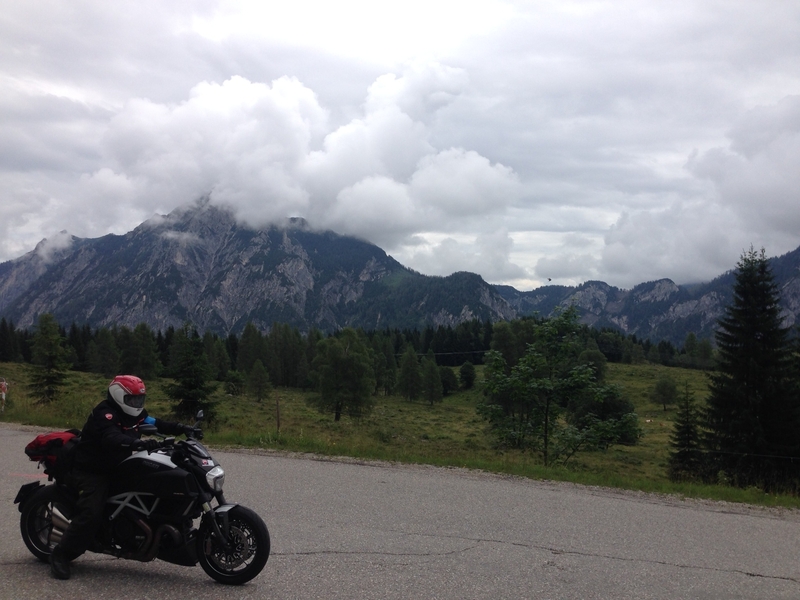 I was actually beginning to enjoy riding the bike – maybe even surprised at how much I was enjoying riding it! – and it really didn’t feel as big as it looked. It was super-stable in the corners and motorway so maybe that was the only time you noticed the size? We stopped for another good lunch and soon got going again, but although it looked rather grey and dull it was still quite warm (for an Englishman!) at around 15 degrees and riding in a textile jacket with just a t-shirt was not a problem at all. We arrived at our hotel in Kaprun for the night and it could not have been more “Austrian” if it had tried! It was a lovely wooden chalet style with pointed roof and windows with shutters nestling in the hill-side next to a running stream and cows on the hill. The view from the balcony was stunning and you could even see a bob-sleigh run on the hillside opposite! Today was the first day to get acquainted with my bike for the week, a 2014 Ducati Diavel Carbon. I’d never ridden the Diavel before and to be honest it wasn’t something that I would personally chose although I must admit that the design has grown on me over the last couple of years. The bike itself looked pretty smart with a white trellis frame and the black wheels with chrome accents made it look mean! We started off the day on a steady pace along the motorway, divided into 3 groups of roughly 20 bikes in each, and this gave me a chance to get used to the ride on some easy roads. My first impressions were that the large beast you saw in front of you soon disappears when you’re sat on it. There’s no expanse of tank in front and it doesn’t feel that wide either. The bars are in a comfy position but for me at just a smidge under 6 feet tall, I found that the seat was way too low to be comfortable and took some getting used to. The bike was in “Urban” mode by default, which was the low-power (100 PS) with the traction control wound up, but this felt a bit sluggish so I soon figured out how to change this using the switches on the bars and put it into “Touring” mode that gave me the high-power (162 PS) setting but with a “friendly” power/torque curve and still with some of the traction control wound on. It instantly felt better and more responsive, and cracking the throttle made the bike shoot forward at a fairly rapid pace. We soon left the motorway and started taking some better roads, more fast sweepers than tight twisty roads and these suited the Diavel fine. The scenery in Austria was stunning as we’re not used to mountains in Essex, so to be honest the bike sat underneath me doing its thing while I took in the view and I didn’t really give it any thought, except for the odd leg stretch or shuffle to ease the cramped riding position on my hips. After stopping for a decent lunch we then continued on the sweeping mountain roads to Linz with some real chocolate-box scenery along the way, including seeing the ski runs in the mountains, stationary as it was all green grass rather than covered with snow. 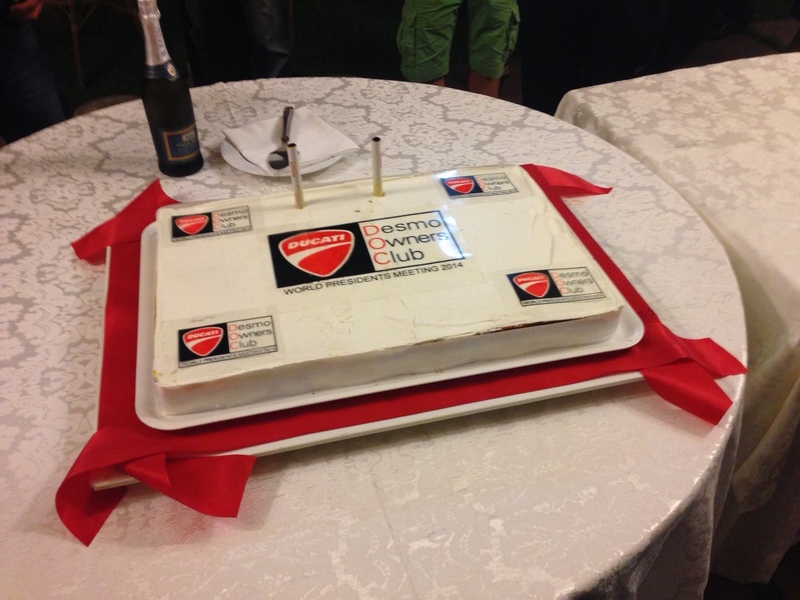 We stopped off at a hotel in Linz and had a fantastic dinner and evening of entertainment organised by Ducati Club Linz to welcome us to Austria! It was an early start as the taxi collected me at 5.30am for Gatwick and the flight to Vienna. I hadn’t flown for a while and was worried that I had forgotten something or would miss the plane, but as it turned out there was little traffic on the road and plenty of time to get through security and to the gate. I’d never been to Vienna before and the flight was uneventful. Once off the other side the instructions were to meet in the café just outside the exit, and it seemed that I was the first one there, but less than a minute later and the Ducati clothed people started to arrive with both old and new faces! After some introductions and some reuniting hugs, we took a short ride in a minivan to the hotel. Today was a rest day with just a dinner for the evening to ease us into the World President’s Meeting (WPM) slowly, so I went and unpacked, got changed and went down to the bar for the first beer, and boy did it taste good! More and more presidents began to arrive and we drank and chatted until the coach arrived to take us to the fair in Vienna for a meal and a wander around. The meal consisted of a massive amount of pork – and I mean massive! – and a huge bowl of chips which was all washed down with plenty of beer. We sat and chatted and then wandered around the funfair late into the evening as it was still very warm, before finally heading back to the coach for the hotel and a good night’s sleep. Tomorrow we start riding and I didn’t fancy doing that with a hang-over!